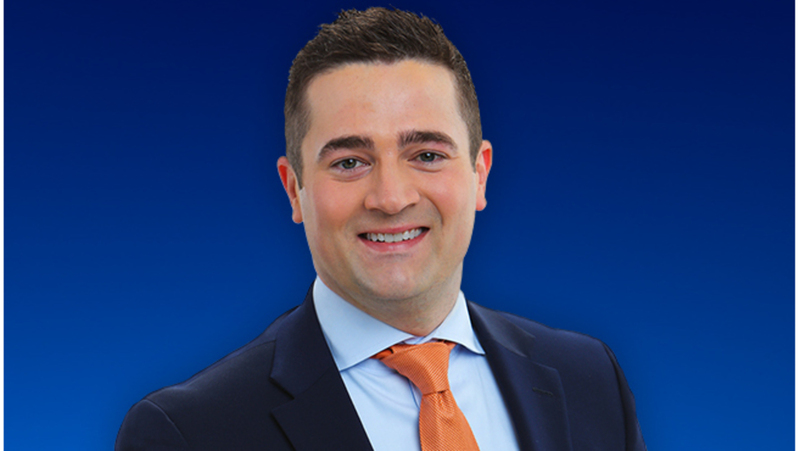 Casey Jones joined the 24 Hour News 8 sports department in August 2012 after working as a multi-media journalist in South Bend, Ind. In August 2015, he was announced as the co-anchor of “24 Hour News 8 Daybreak” weekdays which airs from 4:30 a.m. to 7 a.m.
A Grand Rapids native, Jones went to West Catholic High School and then to Grand Valley State University where he earned a bachelor’s degree in broadcast journalism. For two years, he was a part-time member of the WOOD TV8 sports department before accepting the job at the FOX affiliate in South Bend, working extensively to cover Notre Dame sports, including Fighting Irish football. Mad Dogz in Comstock Park will be serving the River Rascal for the entire West Michigan Whitecaps season. As the clock ticked closer Friday to the matchup between Michigan State and LSU, the Spartan faithful in D.C. gathered for a pep rally. Michigan State University is back to the Sweet 16 for the first time in four years. The managers of 601 Bond will be holding a "sneak peek" Thursday for anyone interested in a tour of Grand Rapids' newest luxury apartments. With temperatures dipping the lowest in decades and wind chills making them feel even colder, minutes outside can have serious consequences.